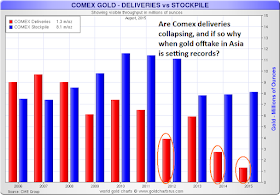 Here are the current numbers and some recent history on the registered (deliverable) gold bullion inventories held at all of the Comex warehouses in the US. 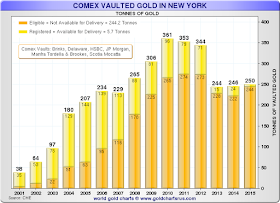 One must view these number within the context of the greater world market for precious metals. 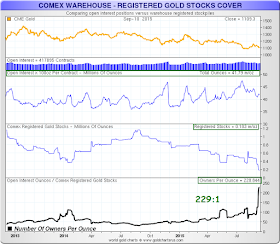 There is much more gold that is privately held in storage in these warehouses that is of an eligible form to be sold if the owner should choose to do so. 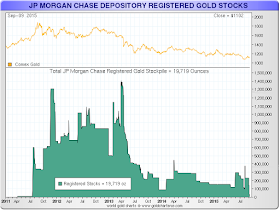 Last month JPM was notable for choosing to sell bullion at current prices in large numbers. 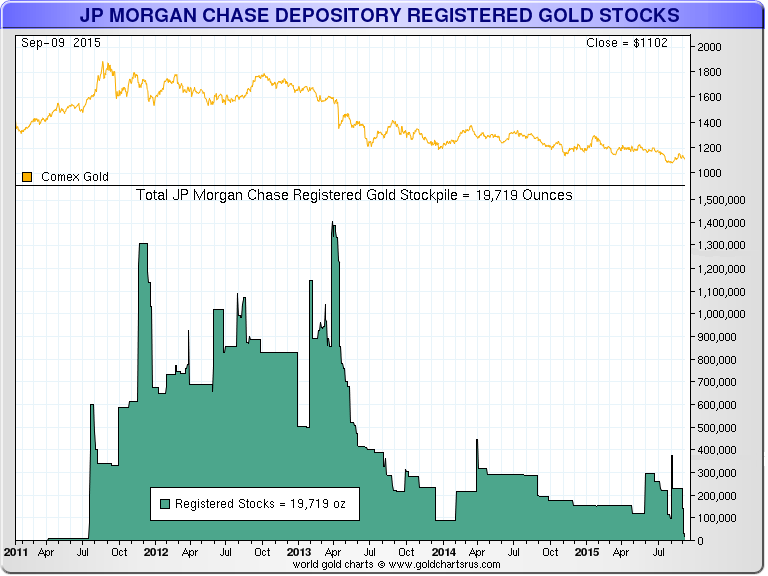 So I would imagine that as we move into active delivery months that JPM may be worth watching. The current total of all registered gold is 182,611 troy ounces, or roughly 5.68 metric tonnes. And to that we may respond, yes, but at what price? 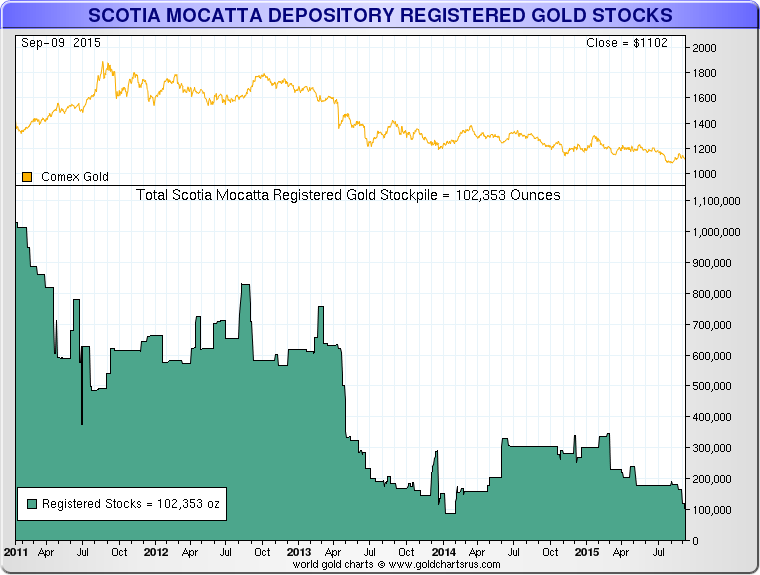 That gold is presumably private property and not for sale at these prices, except for 182,611 ounces of it. Anyone who discusses the dynamics of supply and demand in a purportedly 'free market' without even a nodding consideration to the notion of price as a factor is making no sense. Why show you all this? Some say it means nothing, that I do not understand the markets. Well, perhaps that is true. Then what harm is there in allowing people to see what has happened for themselves. 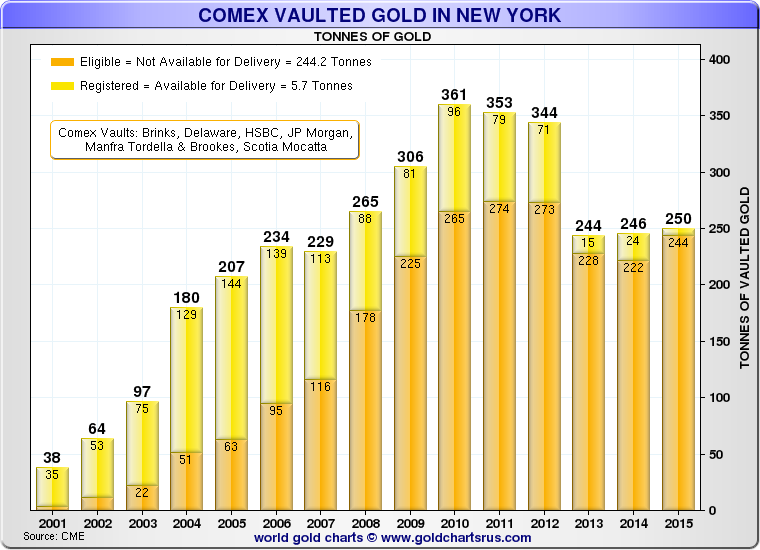 As you may recall, Goldman was seen taking a large delivery of gold for their house accounts in August. 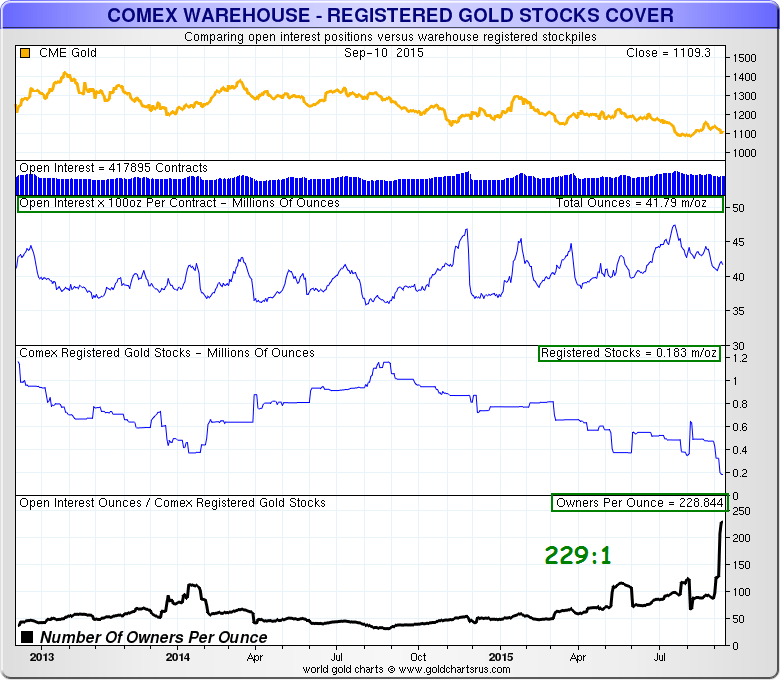 And the amount of gold posted at the Comex 'for sale' at these prices is at historic lows. How can one not wonder at this? 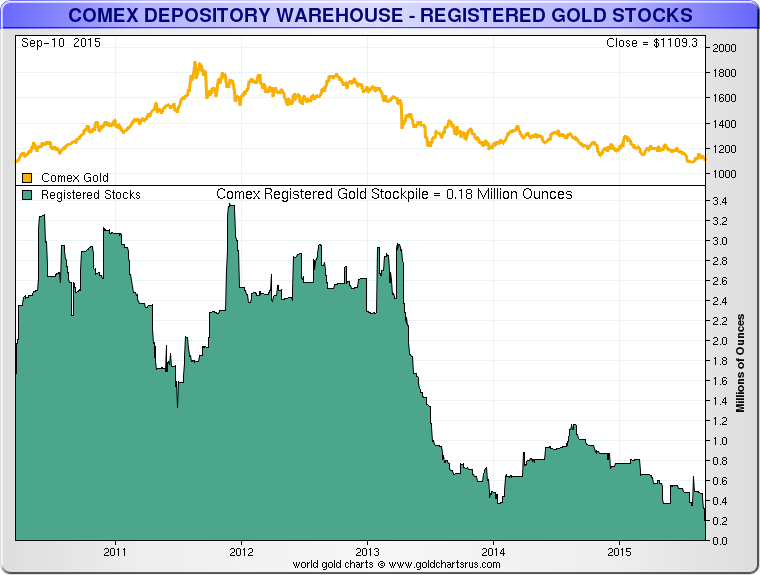 I am certainly not suggesting that there will be hard default at the Comex. 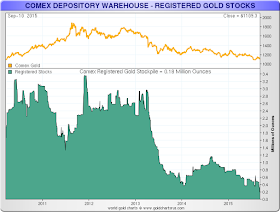 How could one expect that in a relatively small market that almost always settles in cash and is dominated by a few, very large insiders who are actively working both sides of the trade? 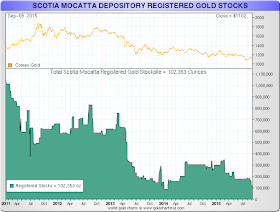 No, if there is a default anywhere, it will precipitate in a physical marketplace where bullion changes hands and form, more likely in London, perhaps even Switzerland. And then it will cascade to all the other markets quickly. There have been recent observations by people such as Peter Hambro that it is becoming almost impossible to obtain physical bullion in London at these prices, only endless promises. 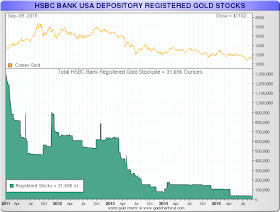 Even the financial media seems to have realized that there is a tightness in the physical supply of gold. 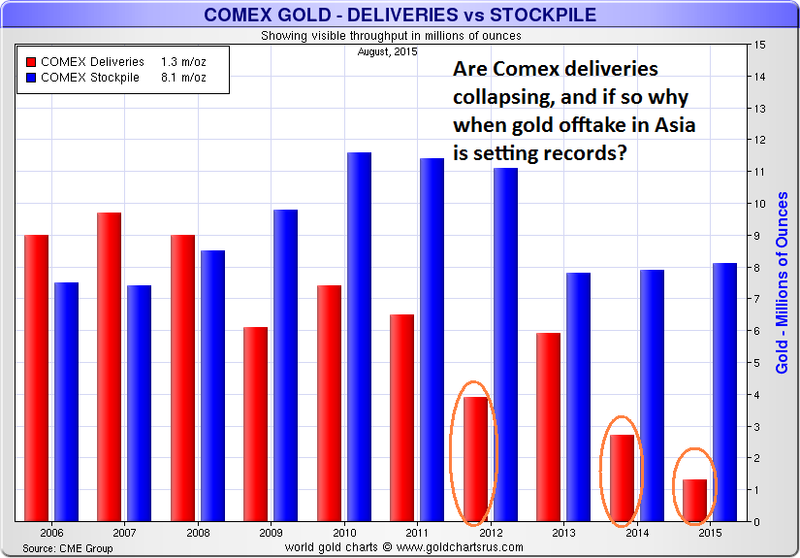 And yet, with all this the price discovery seems to go on as usual undaunted, divergent from the underlying physical supply issues, except for an increasing leverage of claims to ounces, and backwardation in pricing so that a premium must be paid for actual physical delivery. This is a very dangerously developing situation, the kind that leads to market dislocations. 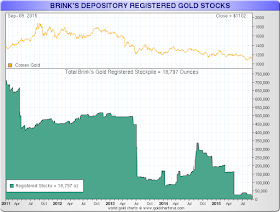 There are new calls for the increased 'monetization' of gold, by hypothecating existing bullion to satisfy third party collateral shortfalls. This is a weak form of purchase, a 'rental' that promises to replace what has been further sold, perhaps in multiples, with the product itself being refined into a different format and purity, and then shipped overseas. 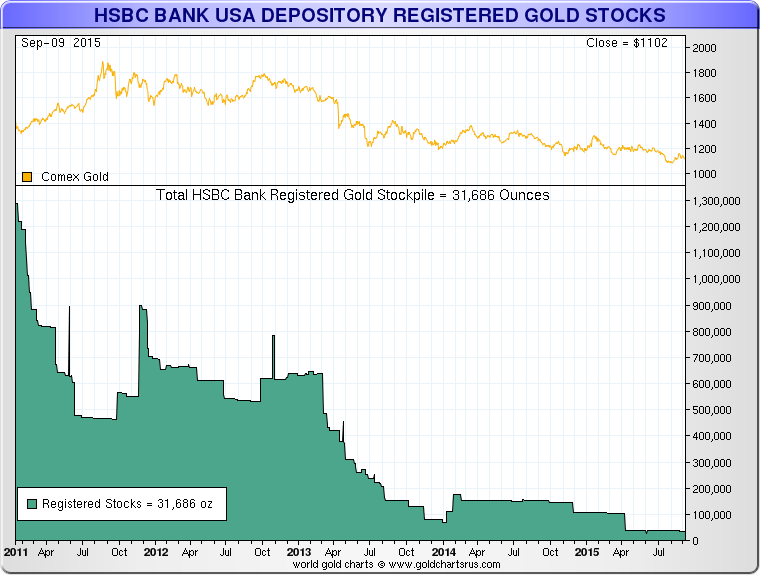 And the supply of readily available gold seems to be quietly withdrawing from the markets.